Meet our friend Christian Salvayre. He lives in Leone, France, and is an amazing fly caster and fly fisherman. 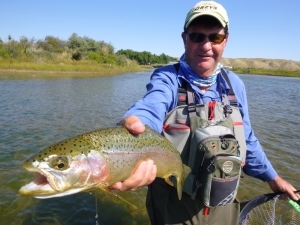 We have had the pleasure to fish with Christian in Montana and in France and we always learn something new from him. Christian has fly-tying videos on You Tube and we thought you might like to watch them on a chilly November day.